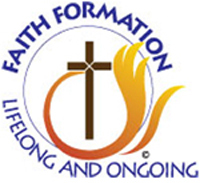 Our parish offers the following formation classes to meet the needs of those at various stages in the walk of faith. Interested in becoming Catholic? The Rite of Christian Initiation for Adults program (R.C.I.A.) begins Thursday, September 6th. Classes are held every Thursday night from 6:30 – 9:00 p.m. in the Holy Family Room. All parishioners interested in learning more about their Catholic faith are also welcome to attend. ALPHA consists of self-contained small groups that will meet at various times and places. All of the ALPHA SMALL GROUPS will gather together for an ALPHA RETREAT.